Your global businesses has to be more agile than ever to keep people, data, applications and other IT resources connected and working in the smartest ways possible. Your communications infrastructures must serve the new reality; that your business users and IT teams are directly involved in activities that create a tremendous need for connectivity, compute resource and storage – everywhere. Whether looking for simple access to shared/dedicated virtual resources or in need of end-to-end managed services that include ecosystem planning, automation and orchestration services, China Telecom Americas offers a complete range of IaaS solutions to help global enterprise confidently and cost-effectively connect and scale their business in China. Infrastructure enabling you to build, monitor and manage your individualized cloud service. It can be integrated and managed across hybrid environments so it meets your needs for both private and public environments. With a user-friendly management console and pay-as-you-go options, you can quickly and easily deploy and automate workloads in China with premium grade, secure virtual resource pool of compute, storage and network services. Get the flexibility to store your data using cost efficient storage that accessible from anywhere in the world. Our high-performance network reduces latency and makes users feel like the data they need is right next door. Cloud Storage platform built on Object-Based Storage systems allows for easy scalability, specifically designed for the Internet, mass data, data sharing and data analysis. Multiple classes of storage to suit standard and performance applications requirements. Internal storage for VMs utilize FC SAN, VSAN with SSD cache. Disaster Recovery ensures the safety of your most critical data, providing fast and reliable data storage, retention and recovery, while guaranteeing robust business continuity and security in a high performance cloud environment. Back up /recovery using replication and third party applications. Easy to use management console for self-service of storage provisioning. Compute, storage, network hardware rental and managed cloud services also available. By taking the advantage of China Telecom’s tier 1 global network coverage, customers can establish fast, reliable and secure multi-point network connections to public cloud platforms across a dedicated network of gateway nodes around the world. 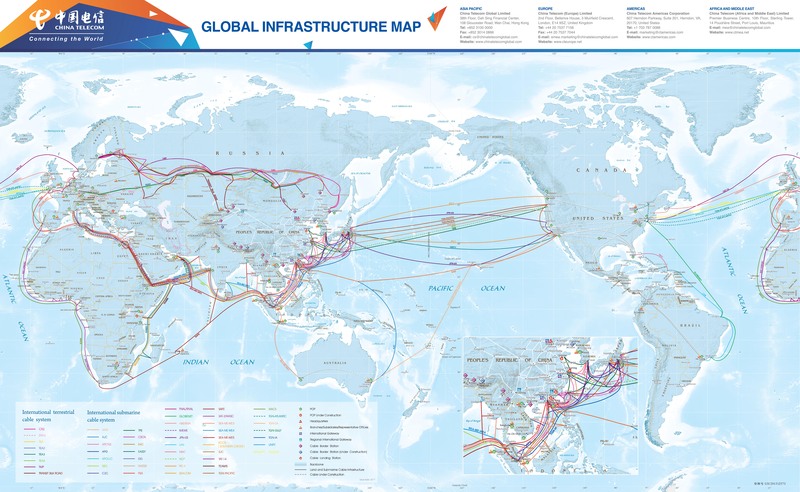 Get high performance, private connections to Microsoft Azure, Amazon Web Services, Alibaba Cloud, Softlayer or CT Cloud in Mainland China, Asia-Pacific and in the United States from MPLS, local loop or IEPL connections with one physical port supporting many Virtual Circuits (VCs) with flexible speed options ranging from 50 Mbps to 1Gbps.